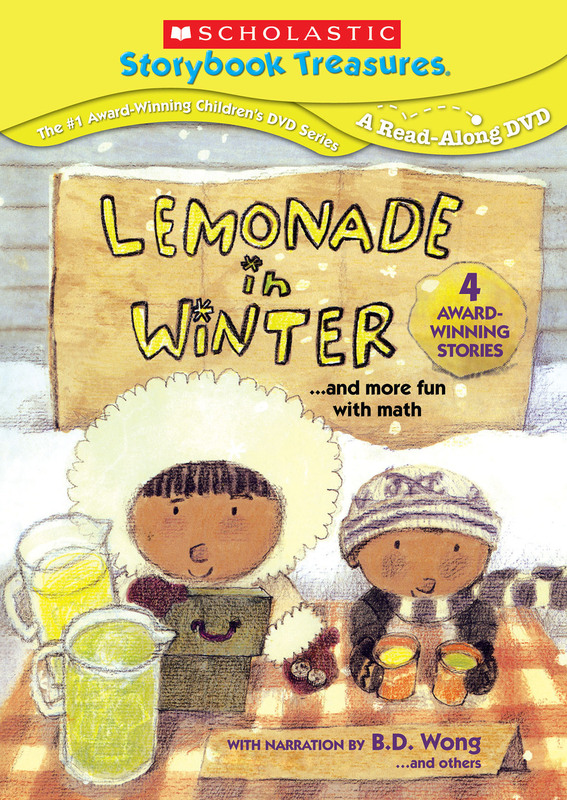 LEMONADE IN WINTER (Writen by Emily Jenkins, illustrated by G. Brian Karas, narrated Rebecca Soler) The perfect storytime read-along about a lemonade stand in winter, with simple math concepts and catchy songs throughout! 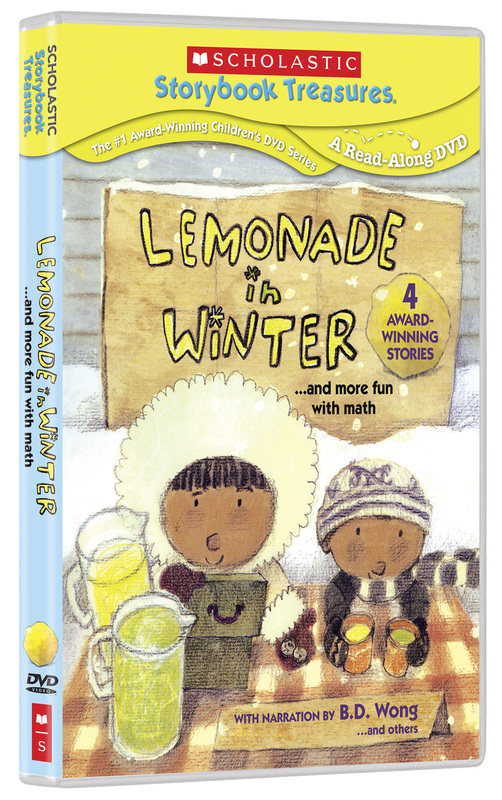 MATH CURSE (Written by Jon Scieszka, illustrated by Lane Smith, narrated by Nancy Wu) A little girl wakes up to find everything in her life arranging itself into a math problem, and she must find her way out of the Math Curse! OVER IN THE MEADOW (Written by John Langstaff, illustrated by Feodor Rojankovsky) This endearing version of an old counting song for children is filled with the beauty and wonder of meadow life. SEVEN BLIND MICE (Written and illustrated by Ed Young, narrated by B.D. Wong) Six blind mice investigate something strange. And with the help of a seventh mouse they figure out what it truly is! All titles produced by Weston Woods Studios, Inc. For non-commercial private exhibition in home only. To purchase product for public performance or classroom use call Weston Woods at 800-243-5020. Weston Woods and associated logos are trademarks of Weston Woods Studios, Inc. SCHOLASTIC and SCHOLASTIC STORYBOOK TREASURES and associated logos are trademarks and/or registered trademarks of Scholastic Inc. Compilation ©2014 Weston Woods Studios, Inc. All Rights Reserved. Marketed and distributed in the U.S. by Cinedigm Entertainment.